Louisville, KY., Los Angeles, CA. 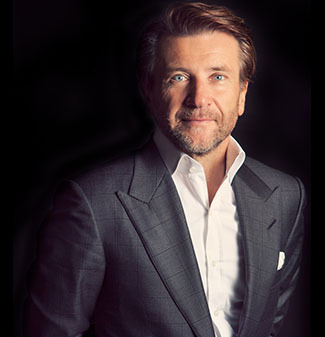 OCTOBER 1, 2018– Robert Herjavec, Founder & CEO of Herjavec Group and Shark on ABC’s Emmy Award-winning hit show Shark Tank, is thrilled to announce a collaboration between Happy Feet and Disney. Happy Feet will produce a robust line of plush slippers and proprietary footwear for Disney and Disney•Pixar brands, which includes Mickey Mouse, Minnie Mouse, Nightmare Before Christmas, Winnie the Pooh, Disney Princess, Frozen, Toy Story 4, and many more. The Happy Feet collection inspired by Disney will consist of over 30 styles in its initial release available October 1, 2018. With comfort and style in mind, each slipper is crafted by hand using unique fabrics, soft plush, and detailed embroidery to bring your favorite characters to life. The Happy Feet Slipper collection inspired by Disney is available now for purchase exclusively online at www.buyhappyfeet.com and Amazon.com. Slipper prices range from $24.99-$36.99 and are available for men, women, and children. Founded in 1995 by the Yates Family, Happy Feet originated as a mall cart program and quickly expanded its plush slippers through the United States, Canada, England and Spain. The firm, which appeared on Shark Tank’s Season 5 in 2014, offers hundreds of comfortable designs including animal slippers & sports slippers. For more information visit www.buyhappyfeet.com.